Earlier in December here on 1 in Four, Cathy wrote a post about Jennifer Corsini's story that was shared on City TV news, titled "Well done Jennifer Corsini." Through this blog post, I have been in contact with Jennifer's sister, Susan. She approached us with sharing a report her son had done for school. I was thrilled at the idea of being able to share this with you, and then I actually read the report -- it literally brought tears to my eyes. He writes about the real events of his aunt's story, and he writes about the statistics and prevalence of Domestic Violence in Canada, but what really touches me are the words "Domestic violence has been going on for too long and the victims need to have a voice." Such truth and insight from a highschool aged boy gives me real hope for the future! We will be posting links on how to sign Jennifer's petition to the Canadian government as soon as it is available. For now you can join her supporters on Facebook in the group Voice of a Victim. open on her arm. She had lost practically all of the blood in her 95lb. was my Mother and the woman that I speak of is my Aunt, Jennifer Corsini. remained in a coma, on life support, in the Burn ICU, so badly disfigured. physical damage, but, most of all FEAR. 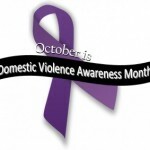 year 35,000 incidents of domestic violence are reported to the police. all the time. She has an alarm system in place bought by Victim Services. full of spirit to live in fear? “Violence Prevention Fund.” Canadian Women’s Foundation. Ministry of the Attorney General. Sunday, April 10, 2011. Thank you for sharing this information. I send love and healing to your Aunt and all of her family for what they have gone through and continue to go through every day.